UW Medicine and Fred Hutch had key roles in clinical trial of immunotherapy option for often-lethal Merkel cell cancer. 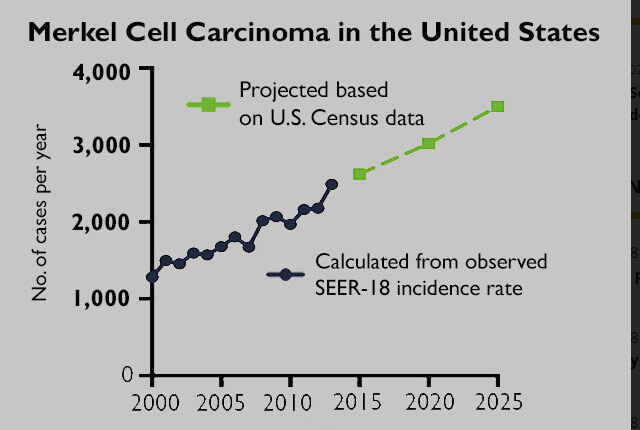 Chart of Merkel cell carcinoma's projected increased incidence in the United States. Paul Nghiem was principal investigator in the trial. Martin "Mac" Cheever directs the Clinical Immunotherapy Trials Network at Fred Hutch.